2 very finely-sliced kaffir lime leaves and a few sliced Vietnamese mint leaves, optional, for ‘Southeast Asian’ notes. 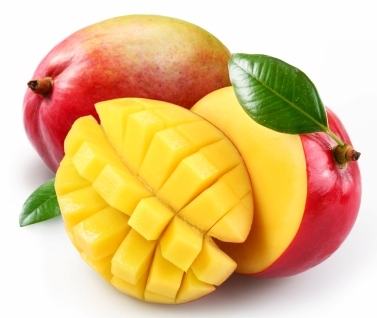 Combine the mangoes and chilies in a medium bowl and stir to mix. Heat the oil in a small heavy pan. Add the curry leaves, and fry until aromaric, just momentarily. Sprinkle in the asafetida powder and fry for a second or two. Add the mangoes, stir to mix, and remove from the heat. If making a larger quantity, pour the flavoured oil into the mangoes. Stir-in the salt, coriander, optional sliced kaffir lime leaf, and the lime juice. Serve immediately, or set aside for the flavours to combine.